Channeling the creative atmosphere of the Lachine Canal neighbourhood, Myst Condos is hosting a special live art demonstration by local artist Niko. Drop by the sales centre at 2365 Rue Saint Patrick on Saturday November 23rd at 1pm for your chance to see the Montreal-born painter create a work of art. The world-renowned artist is known for her energy and the sensual scope of her paintings. Niko’s work is a blend of Pop Art and abstract post-expressionism. It has earned her legions of admirers around the world. If you’re planning to call Myst home, purchasers will be able to add their names to a draw – one lucky resident will get to walk away with the work of art created that day. Be sure to RSVP for your chance to see a creative mind at work, up close at the sales gallery. 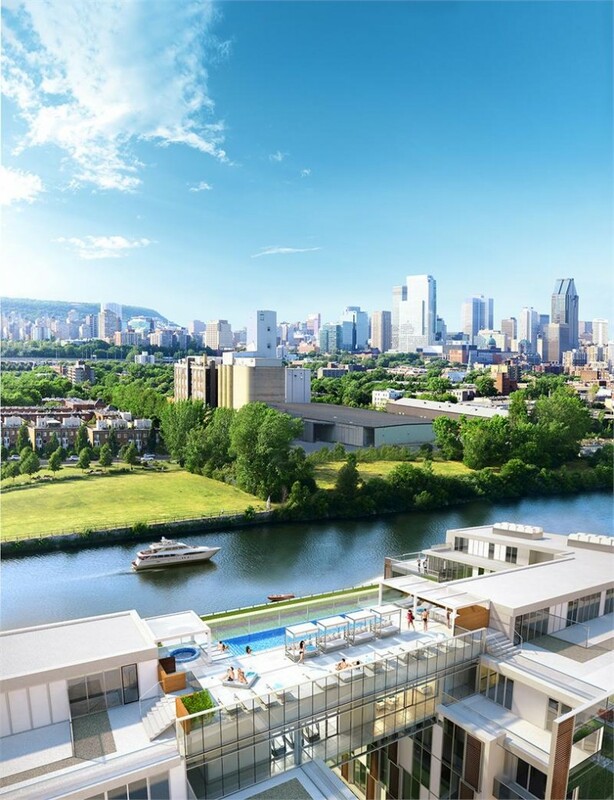 Myst Condos will be a blank canvas in its own right as one of the first condos to animate the Lachine district. Designed by Atelier Chaloub + Beaulieu Architects, the winners of the international contest seeking designers for the project, Myst will be an architecturally exciting development. The project is actually two buildings, connected by a suspended bridge overlooking the entire site, plus the canal and downtown Montreal. The concept was inspired by the project’s infinity pool, which is suspended above the bridge and the open space space gym and lounge area. The MELKILIVING undertaking is currently under construction. Suites start from $249,000. For more information contact 514 947 MYST or myst@immobaker.com.